Grandview is located atop Signal Mountain/Walden's Ridge some 16 miles to the north of Chattanooga, Tennessee. It is a woodland setting that has matured for over 60 years, blessed with mountain streams and rolling ridges. The stewards of Grandview have emphasized maintaining the natural beauty and serenity within a neighorhood setting. All lots are at least 5 acres in size and are restricted for residential use only, with a principal residence plus a guesthouse, horse barn, or other storage facility. All lots are serviced by underground electricity, cable, telephone and water. The development has an active Homeowners Association. An Architectural Review Committee must approve any clearing, fencing or home construction in advance. Thoughtful restrictions and covenants further support the community and tranquility of the area. The development is situated in Sequatchie County, Tennessee which has a relatively modest real estate tax rate (currently 2.4422% with the tax rate imposed on 25% of assessed value). The Lone Oak Community provides volunteer fire protection while Sequatchie County provides police protection through the sheriff's office. In 1852 Joshia McNair Anderson, a farmer and Congressman from Sequatchie Valley, completed Anderson Pike as a toll road across Walden's Ridge to connect Sequatchie Valley with Chattanooga and environs. Joshia Anderson obviously understood a good deal about road building as the roadbed in Grandview is scarcely eroded. 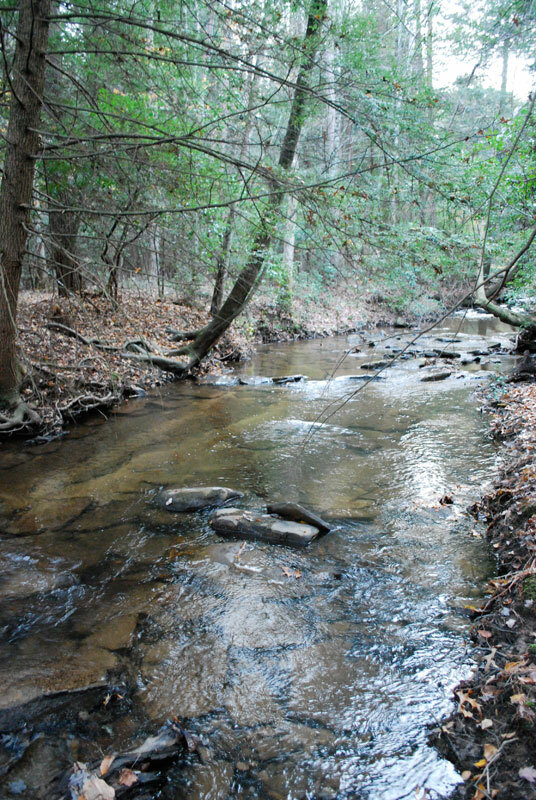 The grade is consistent and gentle as it follows the meandering of Brimer Creek toward its confluence with Standifer Creek, forming North Chickamauga Creek. Residents and lot owners of Grandview, as well as their guests, have been granted easement access to the turnpike for pedestrian traffic as well as horseback. The turnpike extends three-fourths of a mile within Grandview to the historic site where the Double Bridges crosses North of Chickamauga Creek. It's just amazing how many stars you can see in the sky from my home!